A look at the meaning and message behind the myths and fables of the winter holy days. An interfaith approach to the magic and meaning of being here with each other no matter if you are feathered, furred, scaled or skinned! Reverend Elizabeth Teal is the executive director of Giving Paws. 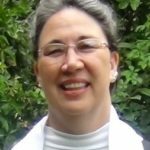 She is also the Spiritual Director for The Ministry of Animals, and a monk in the world. Past credits include: Training Director and Consultant for Pattes Tendue (headquartered in Geneva Switzerland), coordinator of the ASPCA’s Visiting Pet Program; the AACR team training and coordination of the NYC 9-11 response; sitting on Delta Society’s first Pet Partners National Committee; and handling the first installed Canine Guardian ad Litem in the state of Florida. Rev. Teal thought she was going to grow up to be an ethologist focusing on interspecies relationships, but along the way became a monk, an artist, a storyteller, and an interfaith minister instead. She has taken the vows of the Community of the Mystic Heart. She is a third-generation Unitarian Universalist. Reverend Teal believes in the inherent worth and dignity of everyone, knowing that the Light of Love shines into every heart through many windows. 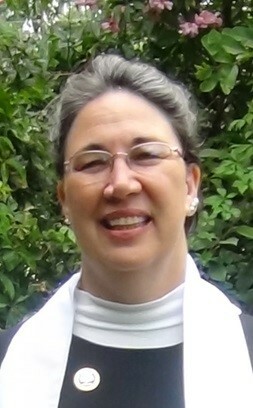 She is committed to equity, justice, and compassion in all our relationships and blogs daily at MinistryofAnimals.org.